Is it a way to make the form sent to a specific email depending on how the form was completed? For exampel: If the "customer" choose a specific town in there form it will automatic send the mail to a specific email. Yes, you can do that using our Conditional Logic Forms. Let us know for any other questions. Is it a way to to see who and how many email you sent after a month? 1. 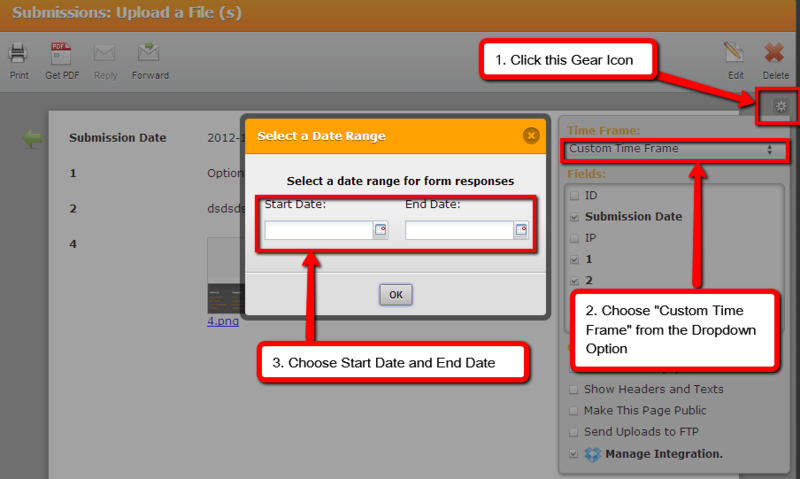 Choose your form and click "Submissions" on the upper toolbar. Hope this helps and let us know for confusions (if you have). But if you mean to see a total submissions to specific email that is associated with your conditions, then its not possible in Jotform. 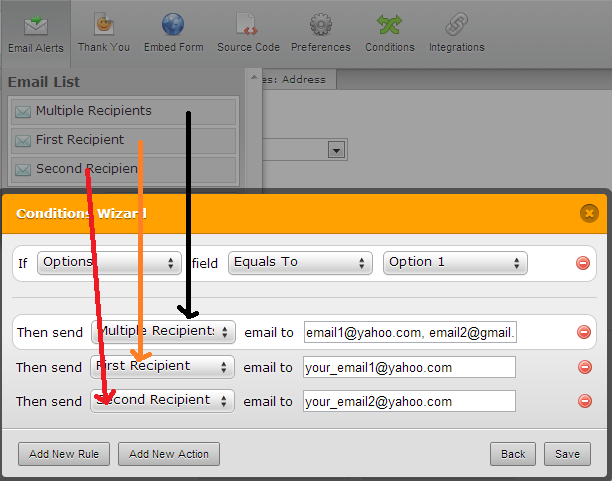 How do i seperate the mail if i want to send to more receivers in Condition Wizard? I tried ; but it didn´t work. There two ways to achieved that.